While my daughter sleeps I get to step into my own creative world! All children are different. And some are just a bit more intense at times or in general! "You have to share your happiness to multiply it!" I stumbled upon this quote by Marie von Ebner-Eschenbach during one of my countless projects I have worked on during naptime. 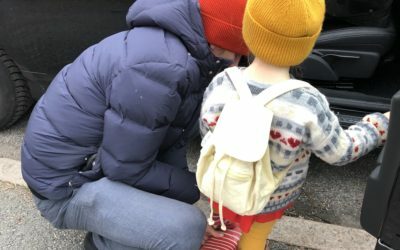 Not having a forum for this important part of my life, of who I am, inspired me to create this blog. I write about my creative projects and my parenting experience which at times can intertwine. Who am I? 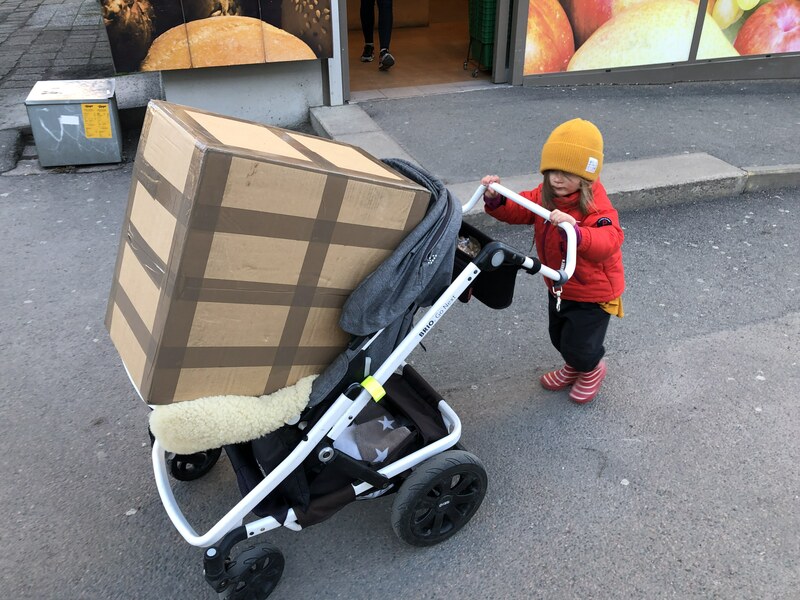 I am a Sweden based designer, mother, thinker and dreamer! Together with my partner and best friend and my wonderfully intense and multilingual package of a daughter I live life as best as I know how to. You can find and follow me on pinterest, facebook and instagram and of course here on my blog! Coming up will be a separate post about the skirt and the tutorial I used! Big sister is helping us get ready for her little sibling! She is not only becoming really tall and smart and funny but also STRONG! You go, girl! You can do anything you set your stubborn mind to! Be brave! “Feel free to dress up for our masquerade at daycare tomorrow!” I love this part of being a parent! Being able to relive some of the magical moments from childhood with my daughter is so precious and I love when I can make them extra special for her! 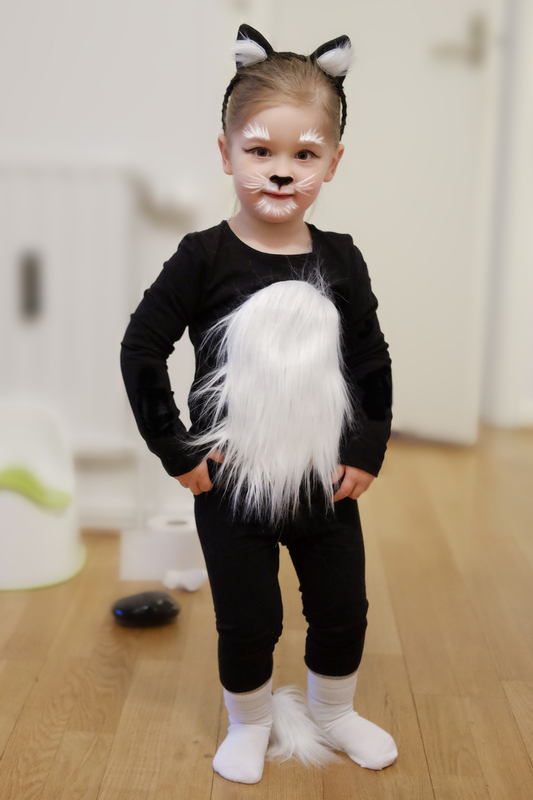 And after her having “been a cat” for the bigger part of this autumn, the choice of costume for my two-year-old’s Halloween at daycare was easy. Start by deciding upon the length of your tail. I used a piece of yarn that I held to the waist of my daughter and then marked the right length with a knot. 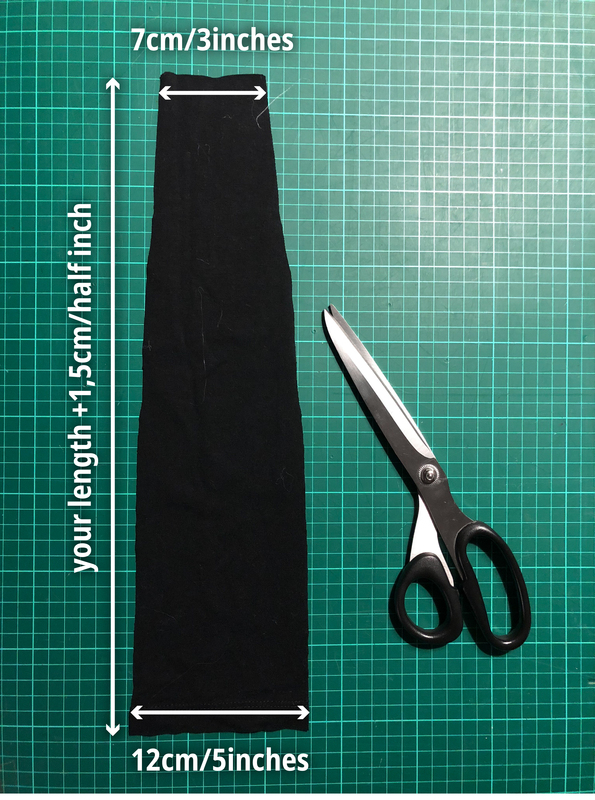 Then mark and cut a piece of fabric that is about 12cm/5inches on one end, 7cm/3inches on the other and the length of your tail +1,5cm/a half inch My tail is about 43cm/17inches and my daughter is 2 years old and about 91cm/3feet tall. Next, you will want to cut out a piece of faux fur for the tail tip. 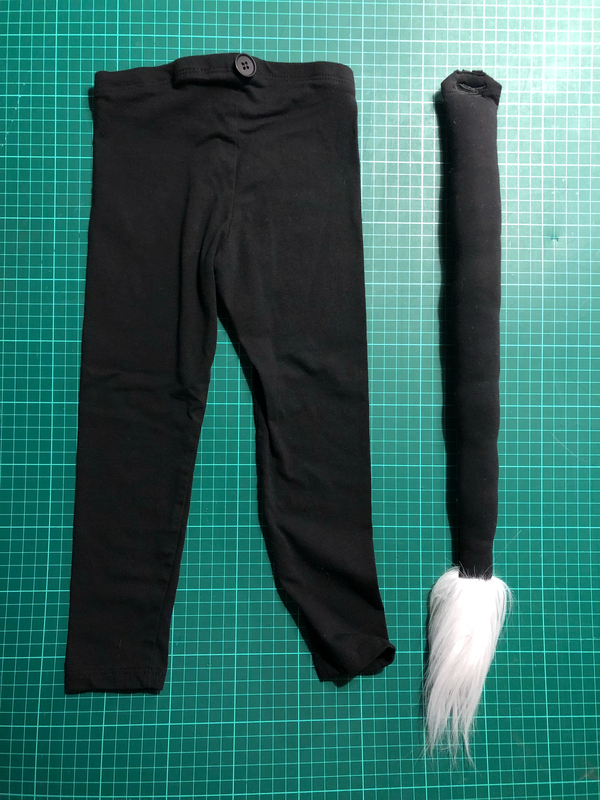 Place the narrow end of your tail fabric over the fur and trace around it. 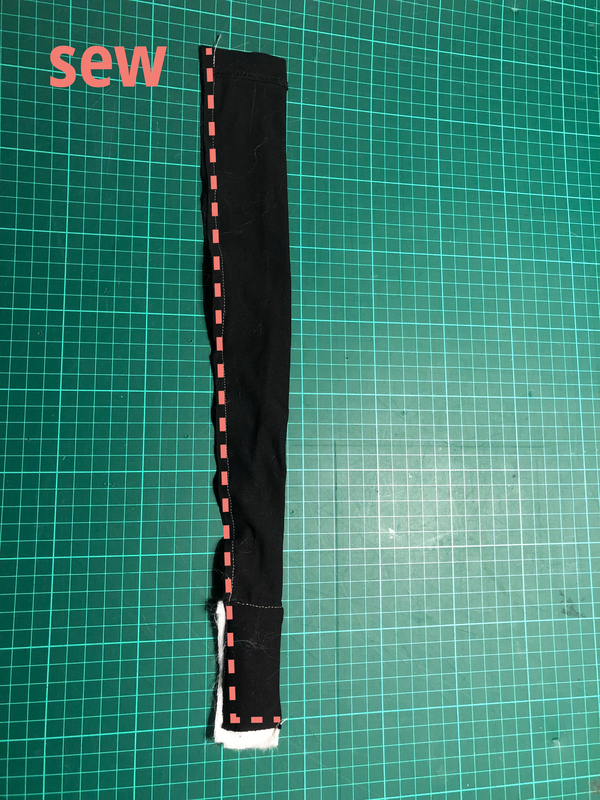 Make sure you add seam allowance at the top (see picture). Make sure the hair of your fur is going in the right direction down toward the tail tip! 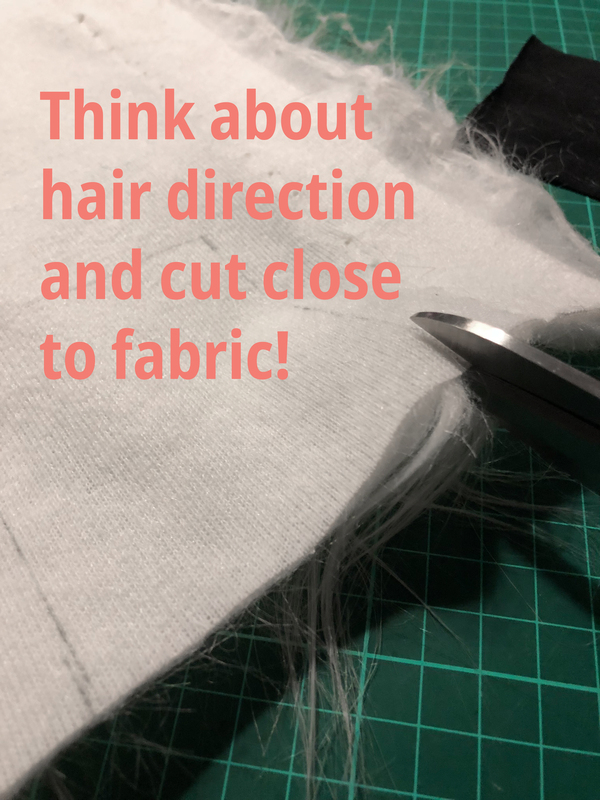 When cutting the fur, keep the tip of your scissors carefully close to the base fabric of the fur so you don’t cut off too much of the individual hair strands. 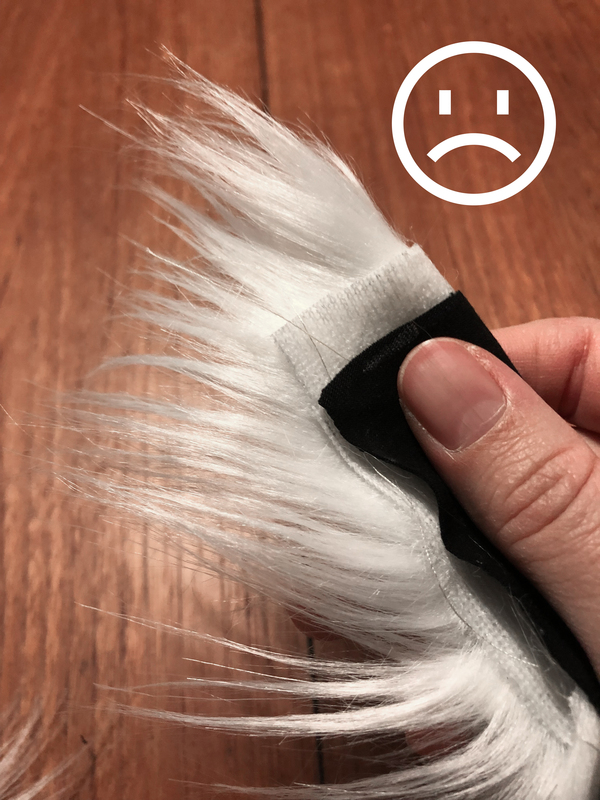 Place your fur tip over your tail fabric. Then flip the fur along the top edge so that it’s furry side is against the tail fabric. Pin in place and sew along the top. Flip back. 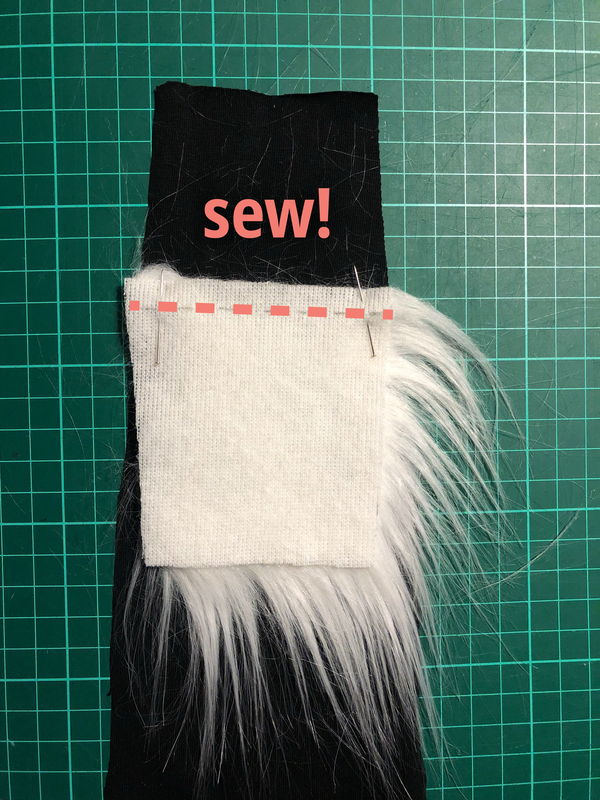 Next fold your tail lengthwise with the fur inside the fold. 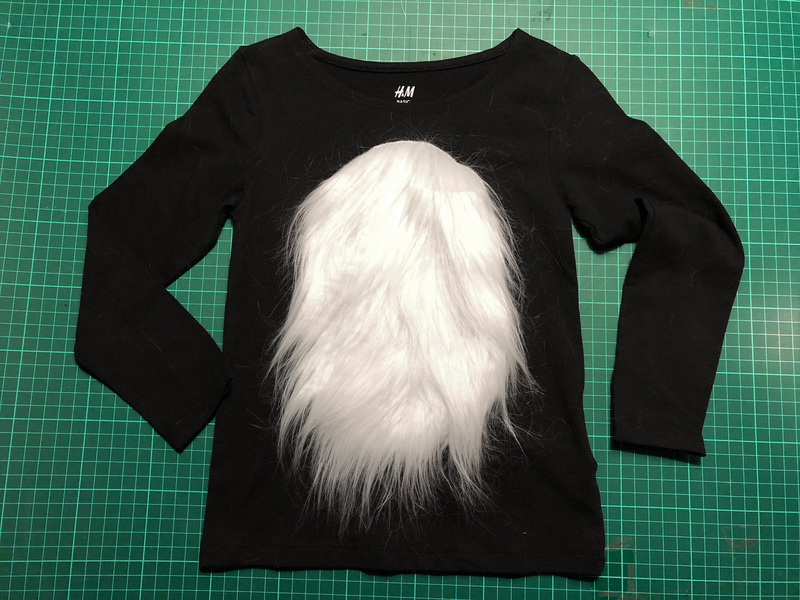 Make sure the fur does not stick out too much but carefully bend the hair strands toward the inside of the fold. Sew along the bottom and side of the tail. 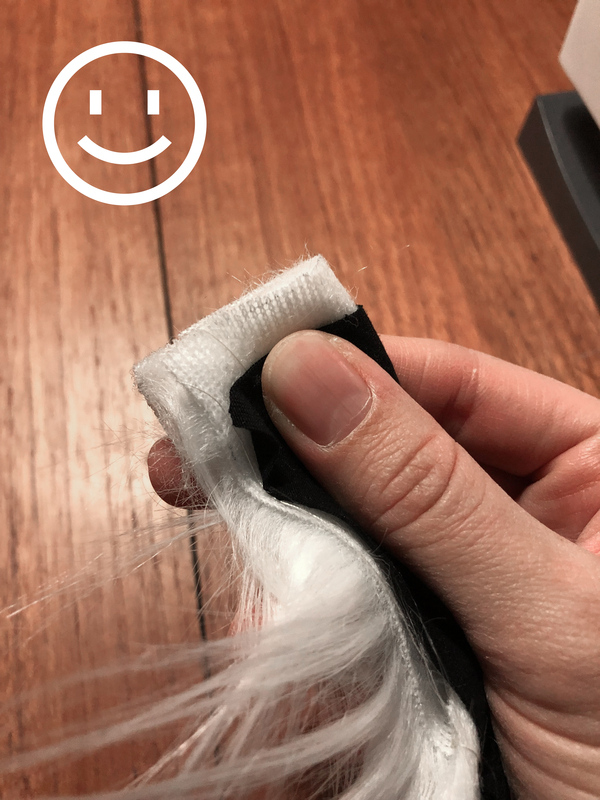 Keep stuffing the hair strands inwards as you sew. Then flip it inside out and stuff it with toy stuffing or wool. 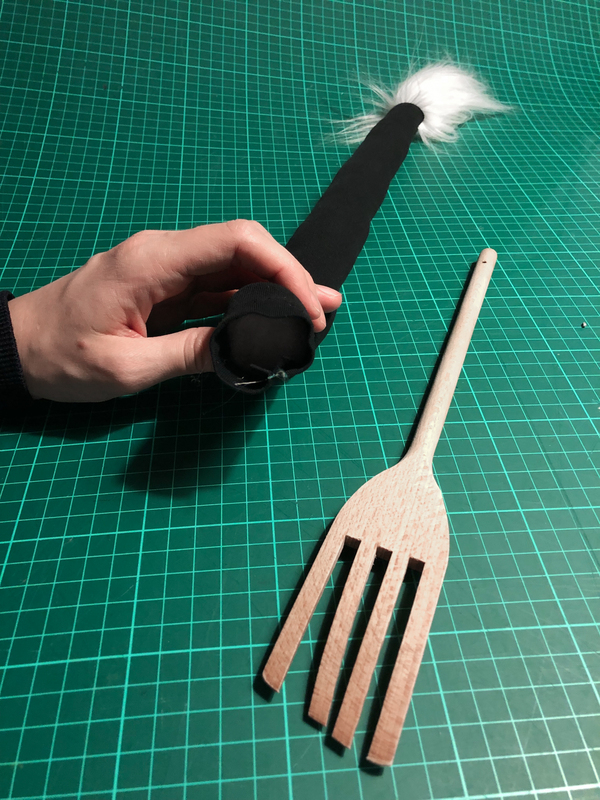 A long spoon or other stick may help with the stuffing. After you can sew the top shut. 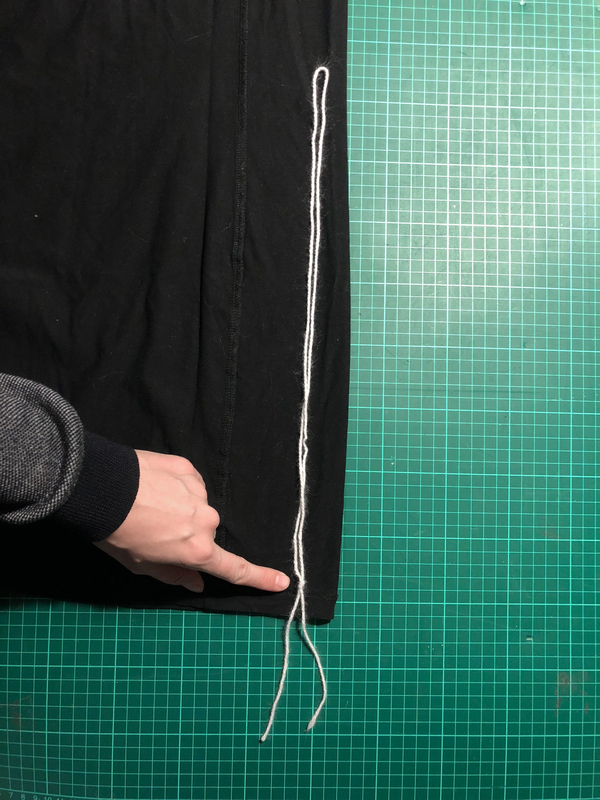 At this point, you can either just use a safety pin or clip to attach the tail or you can add a buttonhole to the tail and a button to the back of the pants like I did. My daughter naps at daycare and I wanted her teachers to be able to take off the tail when it may get in the way. 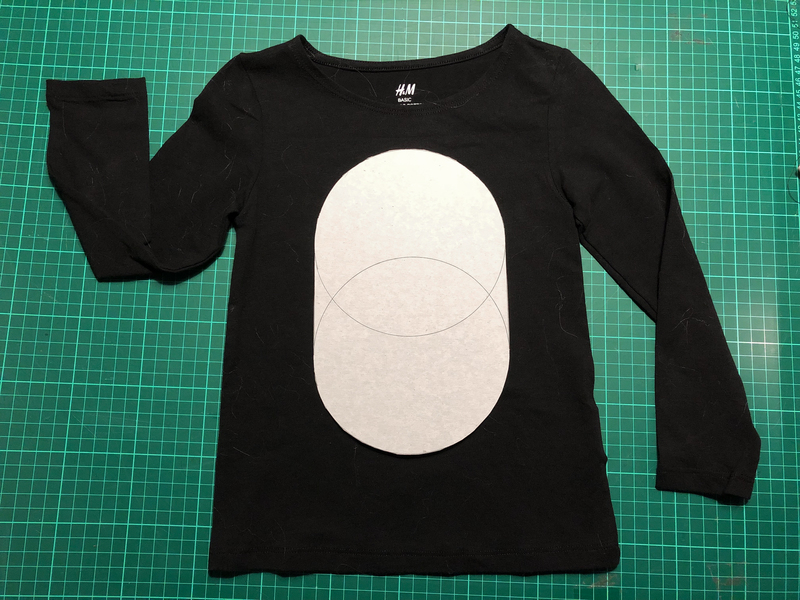 For the shirt, I made a quick cardboard template using a breakfast plate that I traced two times to form an oval in the size I wanted. But you can make it any shape or size you want. 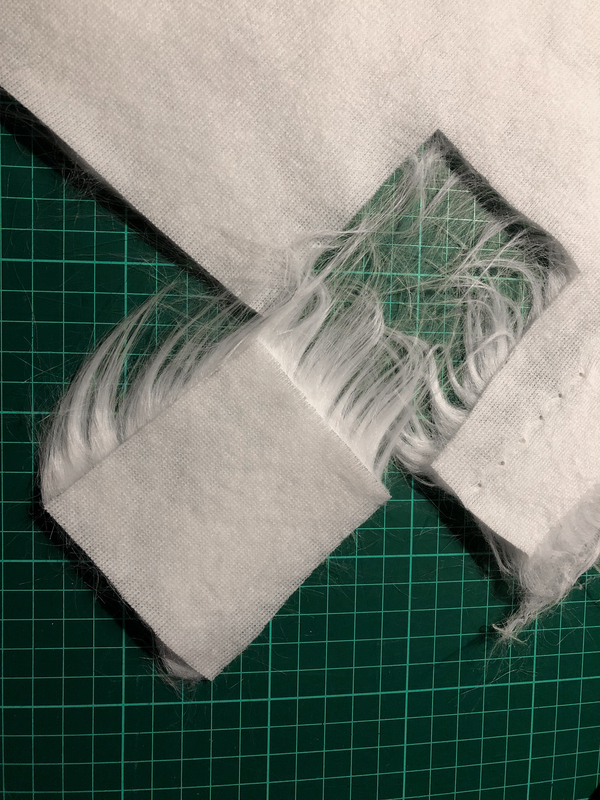 Then simply cut it out from your fur (no seam allowance needed) and use a zig zag stitch all around to attach it to the shirt. Again think of the direction the hair is “grows” and be careful to neither cut off the hair strands or to sew over them too much. 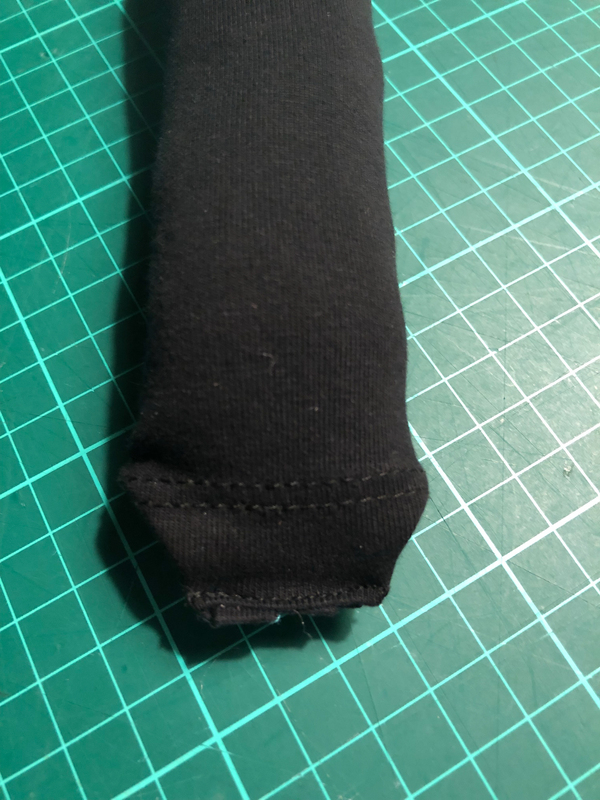 Fold them away as you sew along the edge. 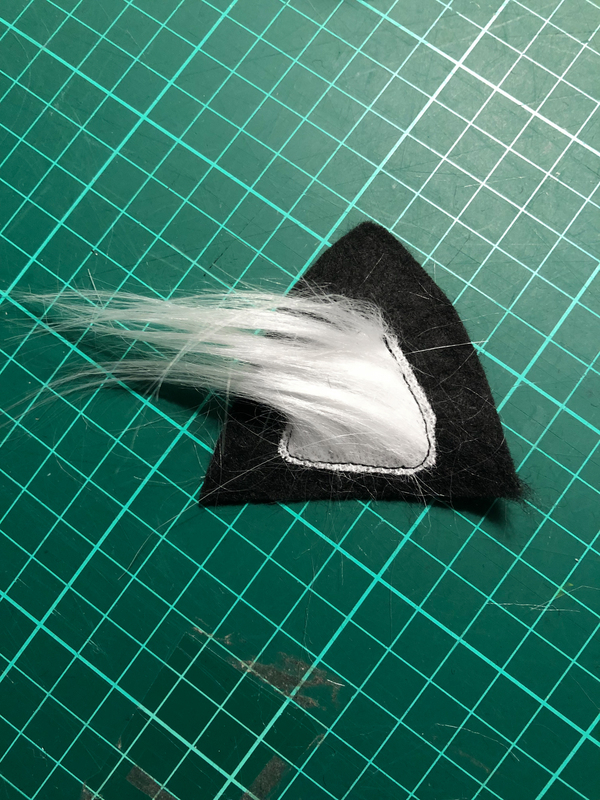 For the cat ears, I used black hobby felt. 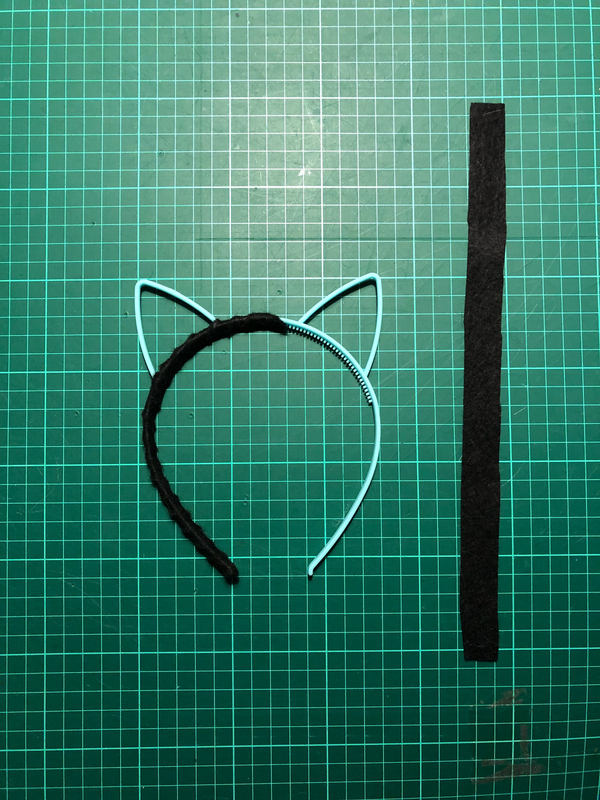 The hairband already had cat ear outlines. So I simply traced around them with some extra seam allowance. But if you have a regular hairband just cut out a triangle that is a bit rounded outward on two sides. Cut 4 black ear shapes. Also, cut 2 smaller triangles from your fur. Sew the triangles onto two of your ears placing the hair to point outward. Then place another ear shape on top, furry triangle on the inside. Sew along the two curved edges and flip inside out. Cut strips of felt and rub a glue stick along one side. Then wrap the felt around the hair band until it is all covered. Last, hand stitch the ears to the top. If you don’t have an ear structure inside be careful to place your stitches so the ears will stand up. 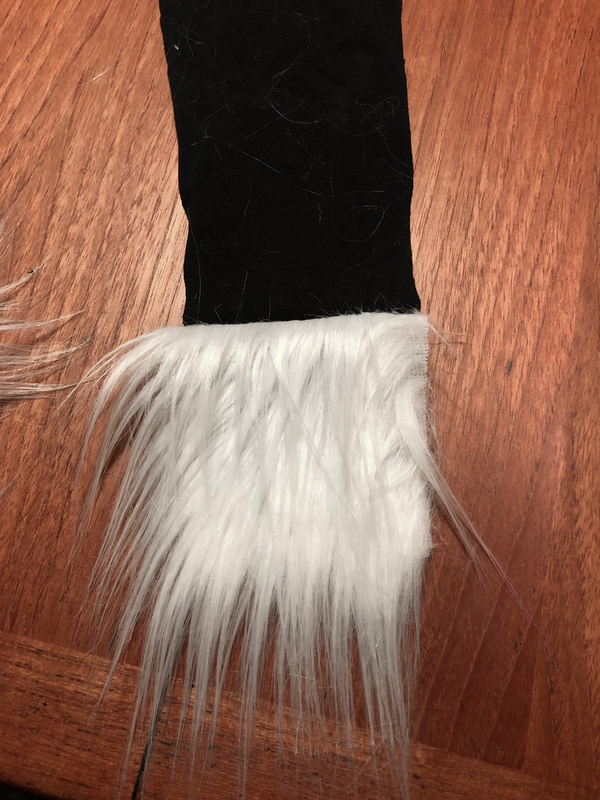 I also gave the white fur of the ears a bit of a haircut as I thought it stuck out a bit too far. Now to the face paint! 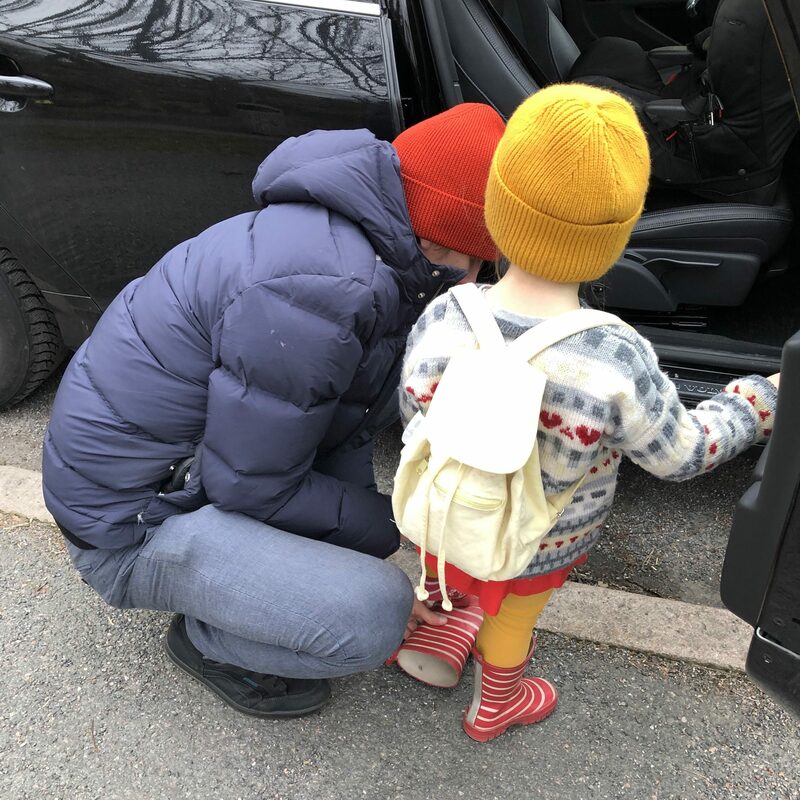 If your toddler is anything like mine, they will not hold still for long and even then “still” is relative. 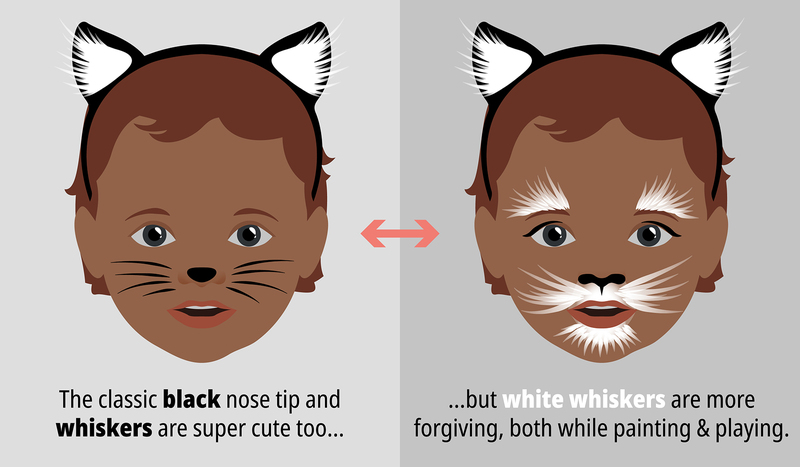 So the classic approach of a black nose tip and whiskers is a simple and easy way to turn that already cute face into an adorable cat. But I want to show you another way of painting a cat face that I made up as I went and still was able to accomplish in only three minutes. 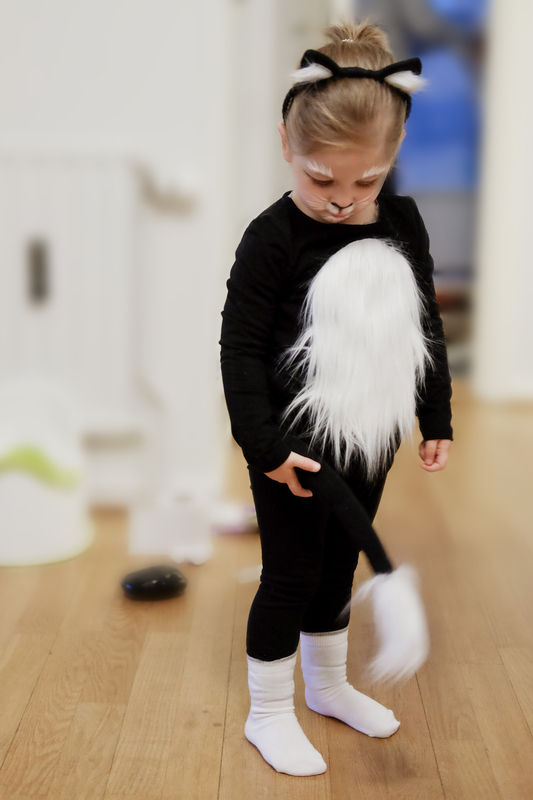 As the rest of the cat costume was in black and white I chose to do the face in black and white too. I used affordable face & body crayons for kids. 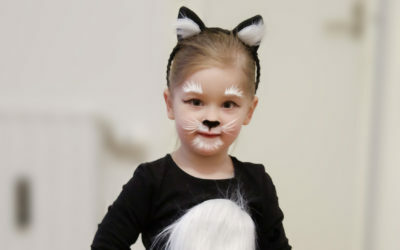 I had to be very fast and bold when putting on the makeup so I was pleased to notice that the white whiskers were much more forgiving than the classic black whiskers. I went all in and added fur on chin and eyebrows as well. And after a whole day of play, naptime and several meals the face paint was of course very rubbed off but in a surprisingly “clean” state as there was no black smudging the cheeks. 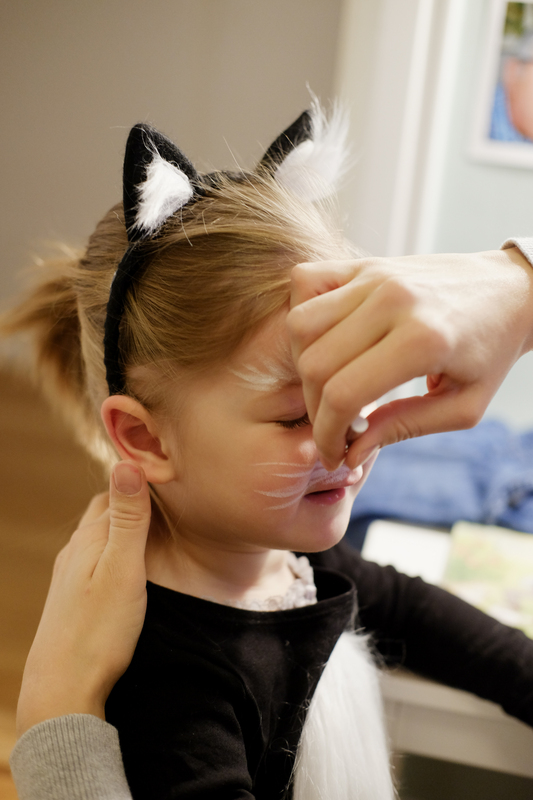 Below you will find a step by step guide for how to achieve this fast and fun cat look. My tip! Don’t be too careful or afraid that you will mess it up. 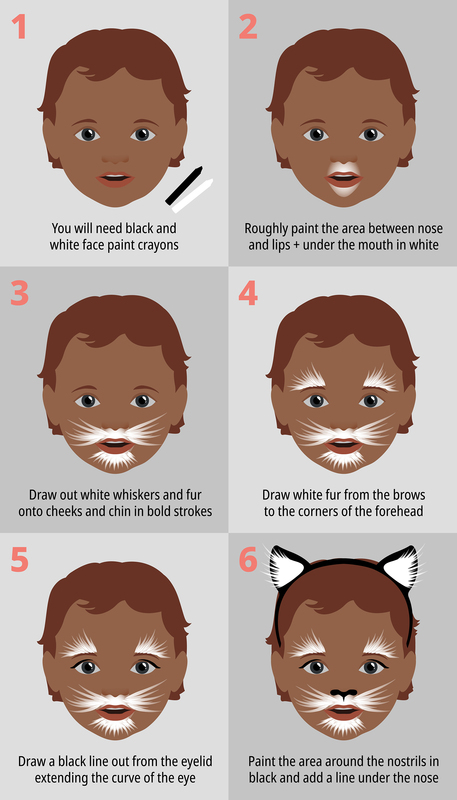 With this face paint, you can work fast and bravely. I am certain each version and result will be a great cat! If you like crafting projects you probably have a bunch of fabric, buttons, beads, cords and ribbons stashed into boxes and drawers. Or as in this case even an old glove. 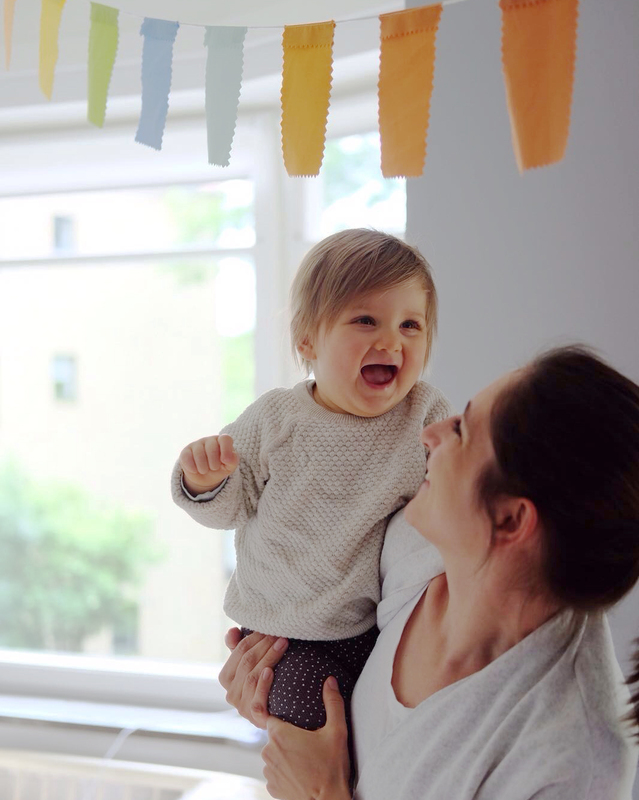 My daughter was a very active baby craving a lot of stimulation and easily got bored of her toys. So for a trip, where keeping her busy with something new to look at made traveling so much easier, I did this last minute project the night before we left. 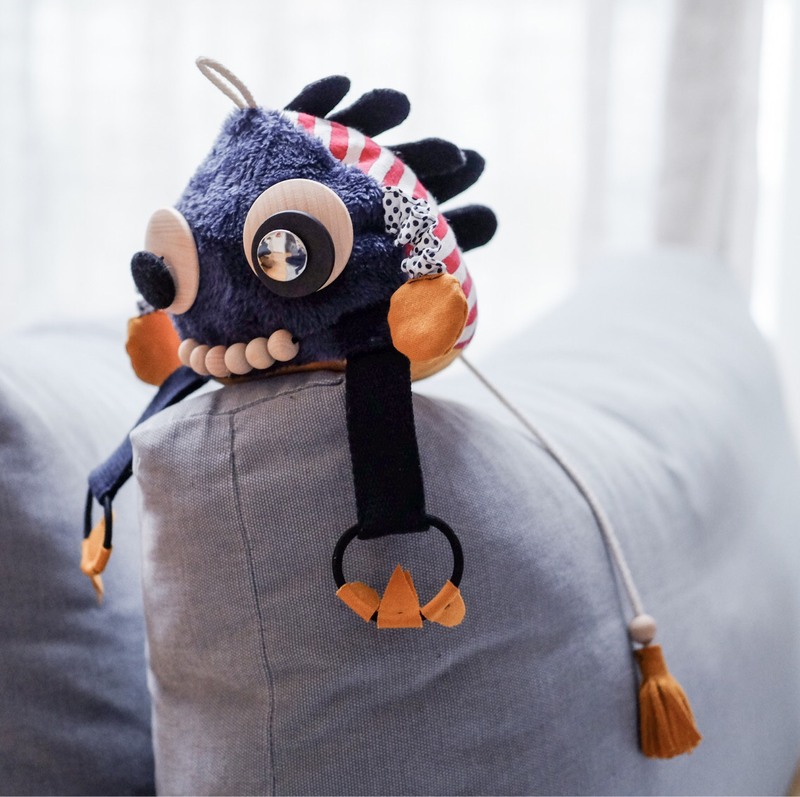 I turned scraps and pieces into a sensory toy with lots of texture, contracts and odd shapes. 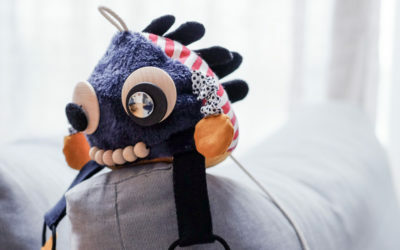 I am not posting a pattern for this little monster I made since I basically created it “freehand” and your collection of leftover may not match my specific ones I had at hand when inspiration struck me. But let me know if you want to find out more and I will share some more details with you! I was surprised to find how similar my creation ended up looking to my initial sketch. 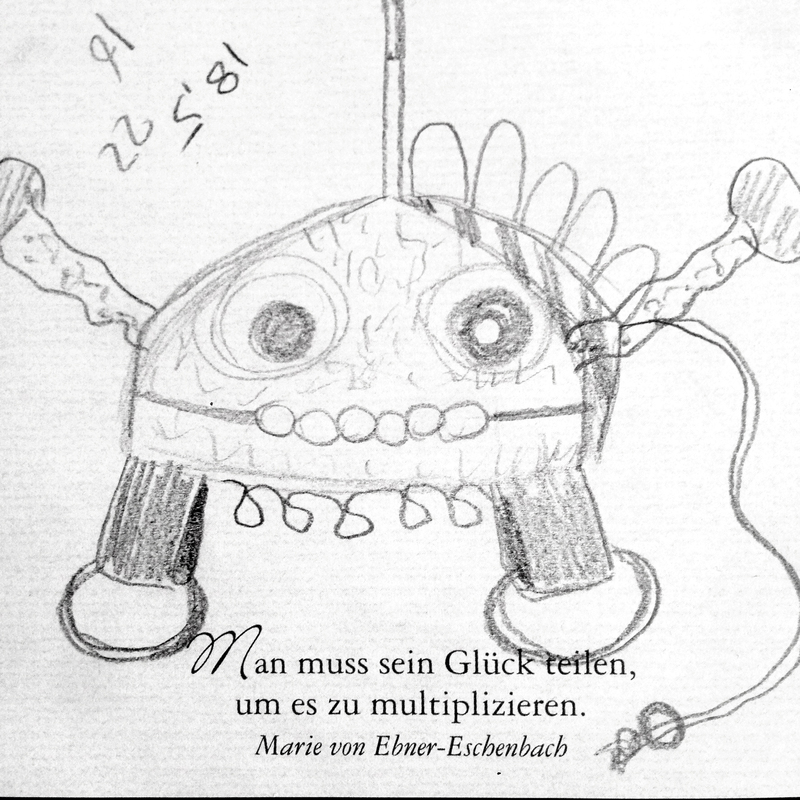 The little text on my note paper is german and means: “You have to share your happiness to multiply it.” by Marie von Ebner-Eschenbach. Pretty fitting for a diy-blog post, right? I am here to share my thoughts and dreams with others. Sign up to take part in my projects and experiences!